You're given a project to do at work or school. How do you go about completing it? You best friend texts you and says they're upset because their cat died. How do you respond? What was your favorite game to play as a little kid? Your boyfriend or girlfriend admits they were flirting with someone else. How do you react? What job did you dream of having? Pick a TV show to watch! BONUS. What's your fave time of year? 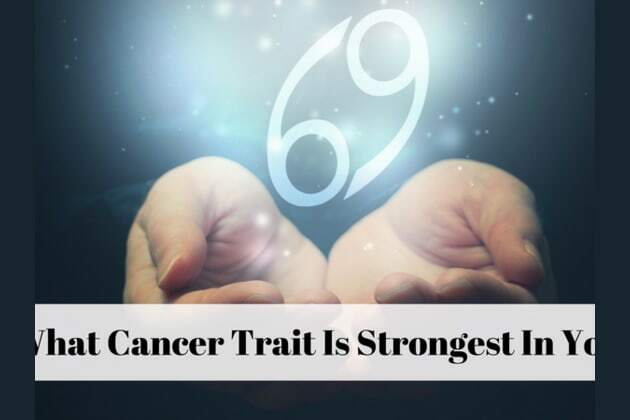 Your dominant Cancer trait is LOYALTY! Your dominant Cancer trait is SYMPATHY! You really can feel other people's pain, and you feel bad for them because of how bad they feel. Which means you can connect with others on a deep level. Make sure you take time for self-care, okay? Your dominant Cancer trait is IMAGINATION! Whizzgigs and doodle whatsits! Your creativity is your dominant Cancer trait, and it shows: from how you live your life to how you dress and move about the world. Just don't get too carried away from reality! Your dominant Cancer trait is PERSUASION! Time to get crabby, bc it's CANCER SEASON!